Music selection – Multi-Mixxez Mobile D.J. Our extensive music library consists of variety of music. Whether it is tejano, counrty, R&B, cumbia, bachata, reggeaton, hip-hop, house, trance, salsa, merengue, norteno, bolero, or ranchero, we have it and if we do not have it we will get it. Our music is programmed in a manner to set up the perfect party atmosphere so you and your guests will have a great time. 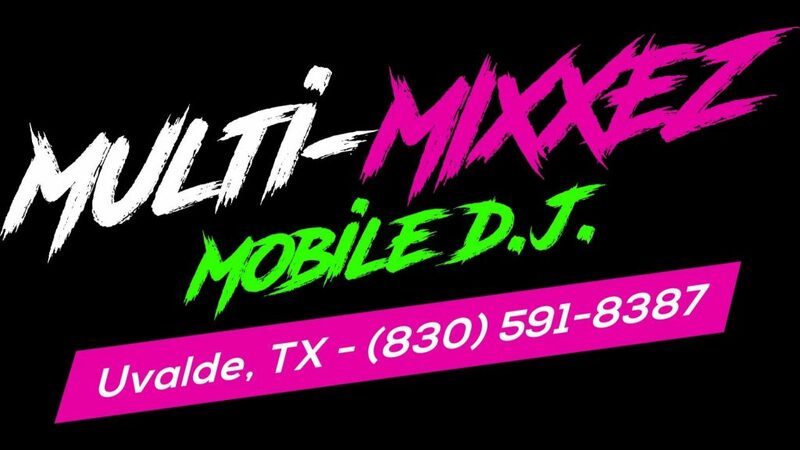 We are one of the few DJs in uvalde that actually mix the music beat to beat, therefore the energy is never lost on the dance floor.